We still find it weird that a label from Victoria keeps putting out tapes from Calgary bands. Still, as long as those tapes are like this one, we're pretty happy for them to keep doing so. 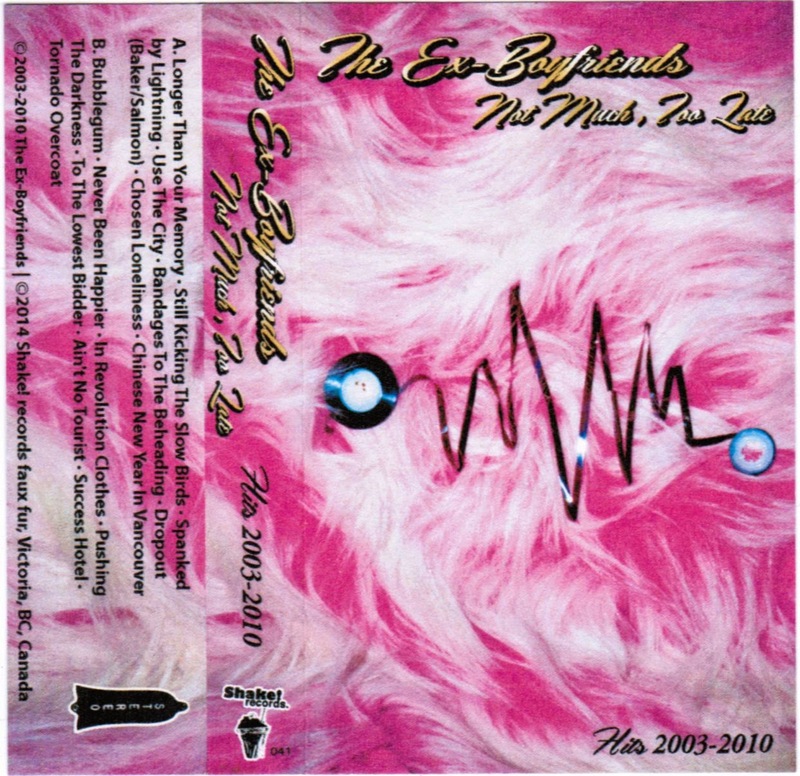 The Ex-Boyfriends have long been one of our local favourites, and only partly because of Gene's man crush on Djewel. This tape is a great testament to why - collecting tracks from their four non-cassette releases, this best of is full of heavy hitters, fueled by Michael Paton's ear-shattering guitar and Djewel's... whatever it is that Djewel does. These guys are known for their live show (and Djewel's propensity for shedding clothes during said shows), but we think their recordings are among some of the best our city has put out. Get this tape from Shake's webstore.